When it comes down to it, price is incredibly important when building a new home. 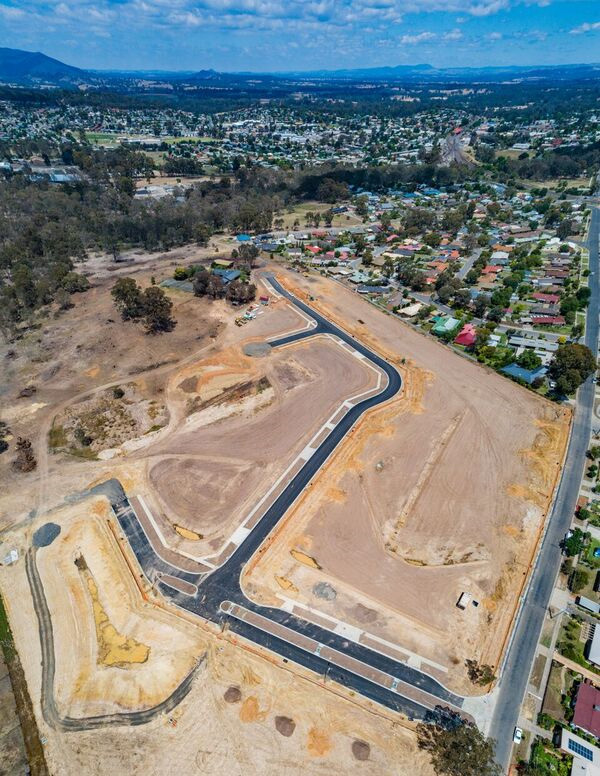 However, the team at Stroud Homes Melbourne North think there are other important factors you should consider when looking to build your new home such as location, inclusions and choosing the right builder. The Melbourne North team talk to us about other factors you may not have thought of yet. When building a home price is very important, but there’s more to building a home than that. Can you tell me about other factors you believe are important? Where you want to build can affect your build costs. How? The size of the land, slope and soil grade determine to requirement for your home and can be quite expensive. Think carefully about the number and types of rooms you’ll need, and what you could use extra rooms for in the future. An extra bedroom could be useful as a study. Also make sure that the features you choose to build into your house will suit your lifestyle and add value to your home. 3. The costs and your budget. Remember, it’s not just the home itself that you’ll need to factor into your budget: Council fees to pay and rent for somewhere to live while you build. As your builder we can give you an idea of what it will cost to finish your home. However, always sure you allow some money in your budget for unexpected costs discovered in the initial site preparation e.g. Rock Cost. You should also budget for things like landscaping, appliances not included in your contract, window fittings and furniture. 4. Choosing your Inclusions and Upgrades. Check the standard inclusions in your home build contract and find out what upgrades are available. 5. Picking the right builder! 6. Preapproving and checking your borrowing capability. Don’t over capitalise and avoid budget blowouts with premium upgrades. 7. Planning Permit and CFA (Country Fire Authority) requirements on rural land. What kind of customer service do you aim to give your clients? What communication systems do you have in place to ensure your clients are kept in the loop? At Stroud Homes Melbourne North our office has office and client messaging services. We are always reachable to answer your enquiries and go that extra mile with weekly updates to ensure you know the most up to date construction information as your build progresses. We pride ourselves on open communication and updates your home is our passion. 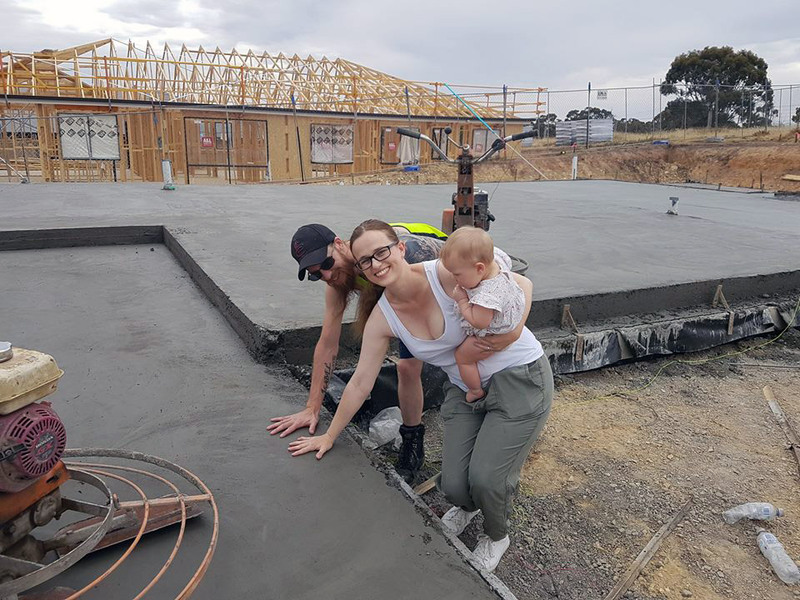 Jake, Kate and their gorgeous baby putting their mark on the slab of their new home. Tell me about your Top 5% Quality Guarantee. You can rest assured that your home will be top quality knowing independent quality inspectors have rated Stroud Homes in the top 5% of builders they inspect. Our extensive quality control program works together with our team of highly skilled builders and skilled tradesmen so that every part of your home is checked and reviewed along the way as your new home is created. If you’d like more information about building a home in Melbourne North with Stroud Homes, give the team a call on 03 5787 1239.